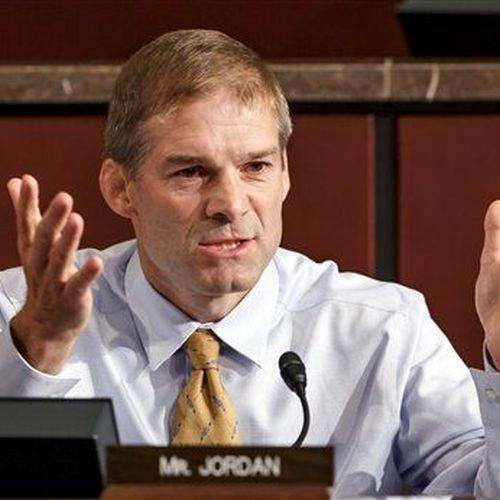 WASHINGTON, D.C. — Rep. Jim Jordan has emerged as a top defender of President Donald Trump during the Justice Department’s Russia investigation, leading some to wonder whether the GOP insurgent known for causing heartburn to the party establishment has become a surrogate for the new establishment. For Jordan, it’s straightforward: He believes that it was the Hillary Clinton campaign — not the Trump campaign — that worked with Russia to influence the 2016 presidential election, namely by paying for the compilation of a dossier meant to embarrass Trump. Former FBI director James Comey testified in June that some of the information in that dossier was “salacious and unverified,” but Jordan argues that the FBI nonetheless used it to obtain warrants to spy on Trump campaign officials — meaning that the entire investigation was launched by a dossier containing information that was not necessarily true. He amplified those comments in January, publishing a piece with Rep. Mark Meadows, a North Carolina Republican, in the Washington Examiner that urged Attorney General Jeff Sessions, Trump’s Republican appointee, to step down because of Justice Department leaks regarding the case. So ardent a critic of the Russian investigation is Jordan that CNN host John Berman, in a recent interview, questioned whether he was coordinating talking points with the White House. “Of course not,” Jordan said. Democrats say Jordan has veered from being reliably, if not predictably, on the right wing of the party to simply serving as a surrogate for Trump. Jordan, in an interview, said the Russia investigation started under flawed circumstances. He has worked to point out problems with the investigation, including asserting that the FBI began its investigation based on a dossier compiled out of research paid for by the Clinton campaign. “If the FBI took an opposition-research document that was unsubstantiated, that was paid for by the Clinton campaign, and dressed it up like legitimate intelligence — you cannot do that in America,” Jordan said. Jordan also is concerned about text messages exchanged between two top FBI officers who were having an extramarital affair. One, Peter Strzok, ran the investigation of Clinton’s handling of emails on a private server while Secretary of State, and the investigation into whether the Trump campaign colluded with Russia to win the campaign. The text messages, among other things, suggest a need to stop Trump from becoming president and refer to an “insurance policy” — Jordan thinks they’re talking about the dossier — aimed at keeping Trump from the White House. And he says there’s evidence that “strongly suggests” that the FBI was trying to influence the election in Clinton’s favor.